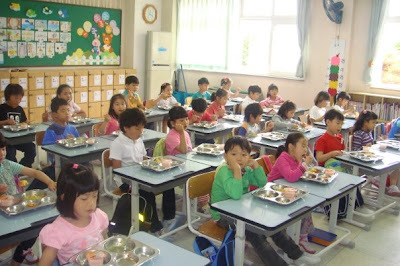 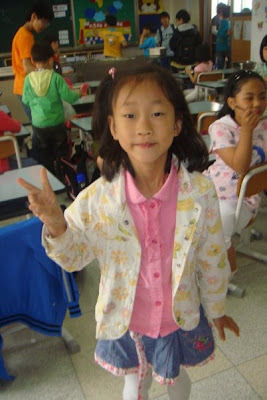 On Wednesday, May 20 2009 I spent the lunch hour with my friend Joo-hyeon and her Grade 1 class (1-2). 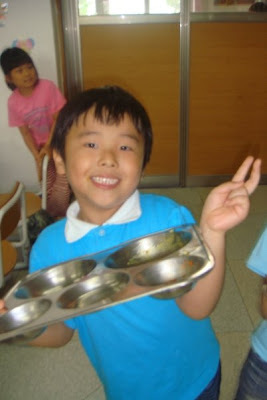 At my school, there 2 Grade 6 students who go and help each Grade 1 teacher and their class during lunch time. 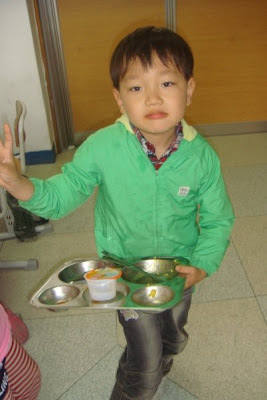 I taught this boy in Kindergarten last year~ so cute!